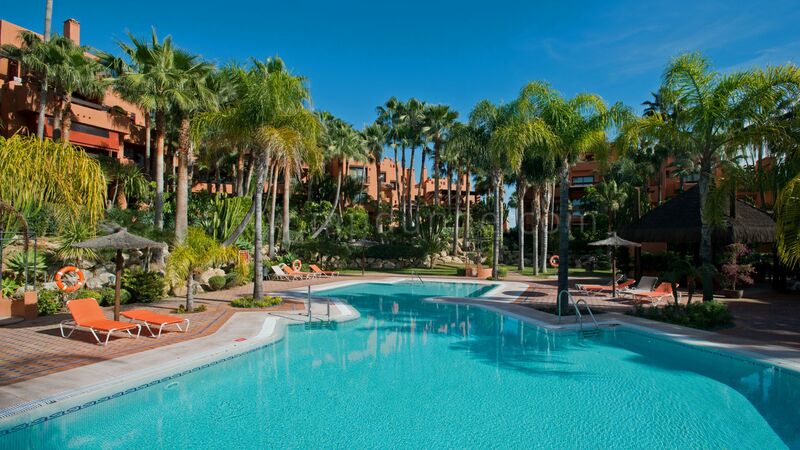 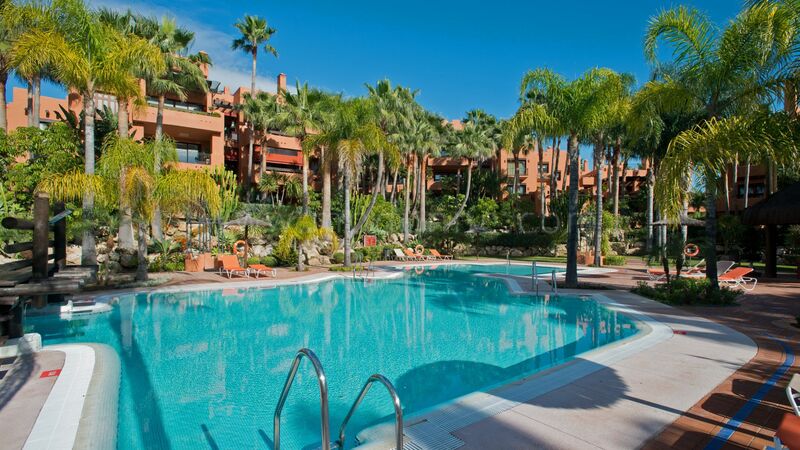 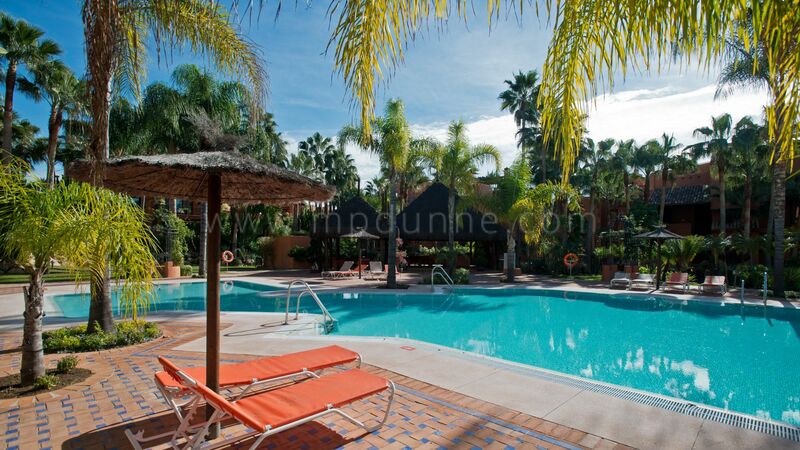 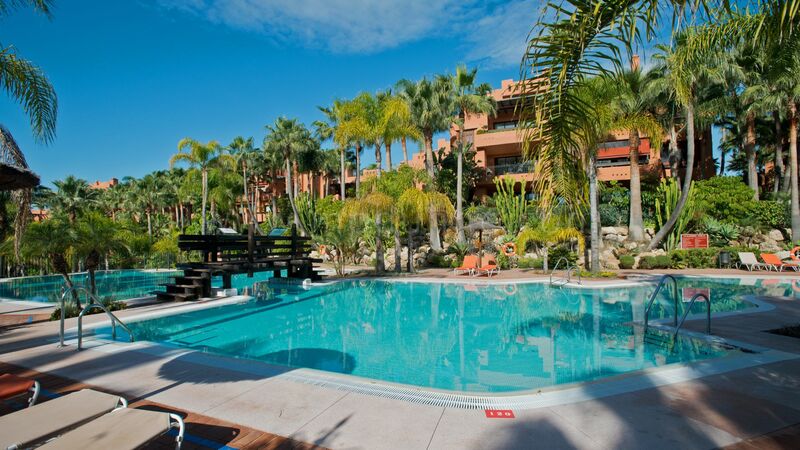 This stunning 3 bedroom and 2 bathroom apartment is ideal for holiday rent. 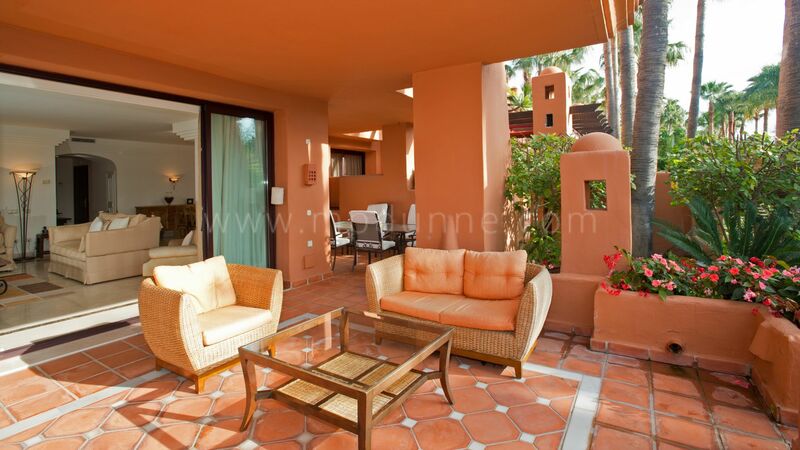 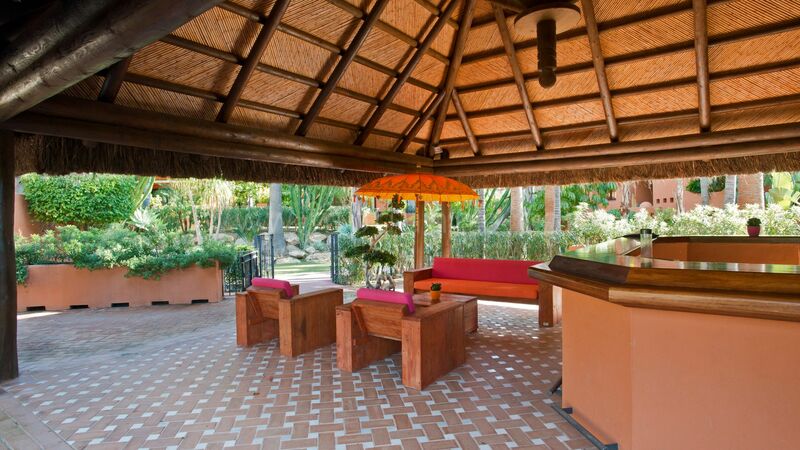 It is very tastefully decorated and has everything one needs to have a relaxed holiday. 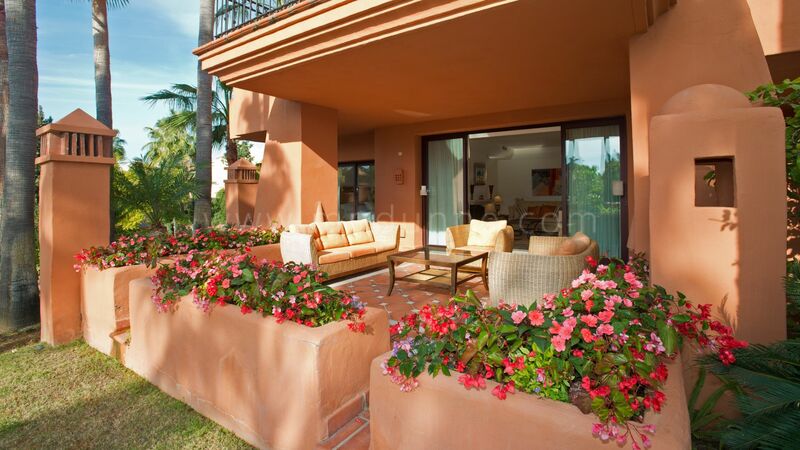 There is a large kitchen with all top appliances, a large lounge with dining area leading out to the covered terrace and a beautiful garden. 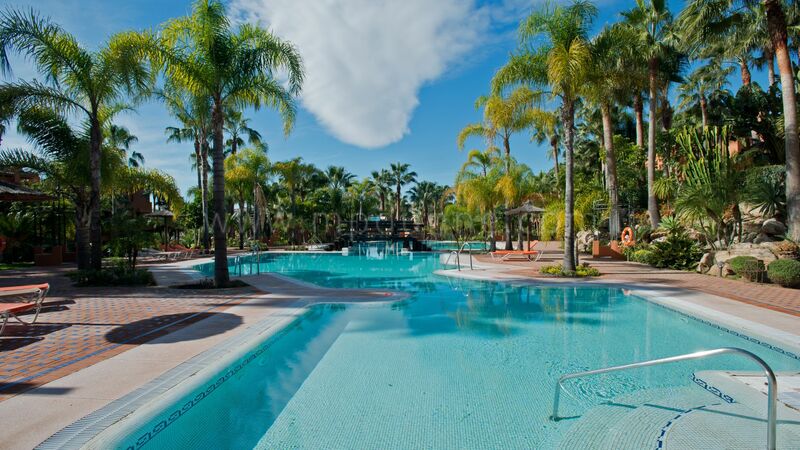 La Alzambra is is a gated community with 24 hour security service, located just 5 minutes walking to famous Puerto Banus and close to all amenities as shops, bars, restaurants or sport clubs.